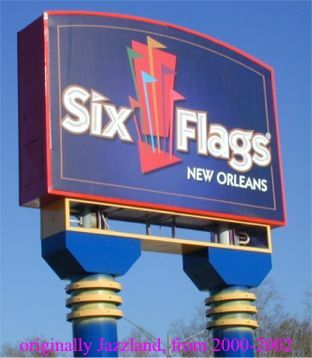 "Six Flags New Orleans" started 2003 with 2 new coasters (Batman & Jester) and closed with Hurricane Katrina, 8/29/05. The former Jazzland Theme Park operated 3 seasons, from 2000-2002. Batman was dismanteled in 2006. The MegaZeph, minus the sign affixed from 2000-02. Photo by: John Allen, 12-30-2002. Welcome to John Allen's Wooden Coaster Club web site! On this home page we'll introduce the WCC and direct you to important areas on our site. Many roller coaster clubs have evolved from the momentum started in the mid-1970s after the marathon held on Kings Dominion's Rebel Yell and the subsequent formation of the AMERICAN COASTER ENTHUSIASTS (ACE), the mother of all coaster clubs! Each club has a specific purpose, paraphrased as "safely enjoying the thrill of roller coasters!" There are so many reasons why one should consider becoming part of ACE and/or a coaster club in your area which will enhance your appreciation and riding thrills. Whether you become a WCC member, are a member of another group, or simply want to learn more about coaster clubs, we hope this site will provide you more information and tweak your interest in riding and enjoying coasters. While WCC co-founder, John Allen, is not any known relation to the late John Allen known for designing & building many fine wooden coasters throughout the USA, our site intends to add a page in memorial to the man who so sparked America's interest in roller coasters that lead to the modern day of steel coasters where they constantly test ones limits and set new records. 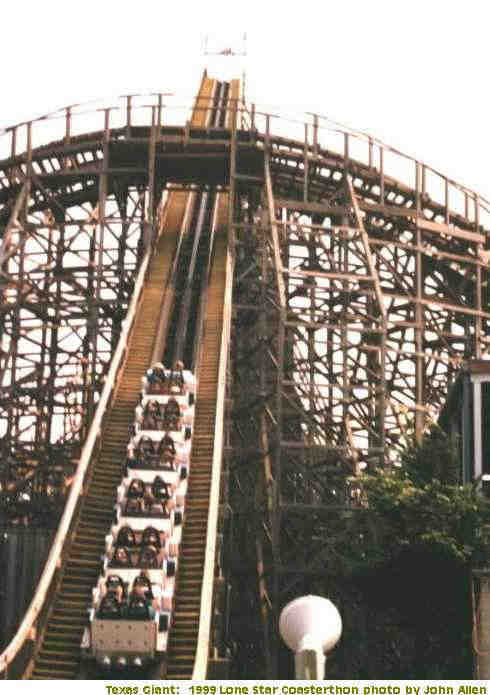 Although modern coasters are more costly, bigger, and better in many way, the wooden coaster remains in our hearts and minds as a measure for judging the differences and judging our own preferences as the best. Wooden coasters became the springboard for the steel coasters which continue to test the limits of height, angles, speed and G's.